This Age Limit on Gas Pump Use is one I would not thought of but Sheetz did. 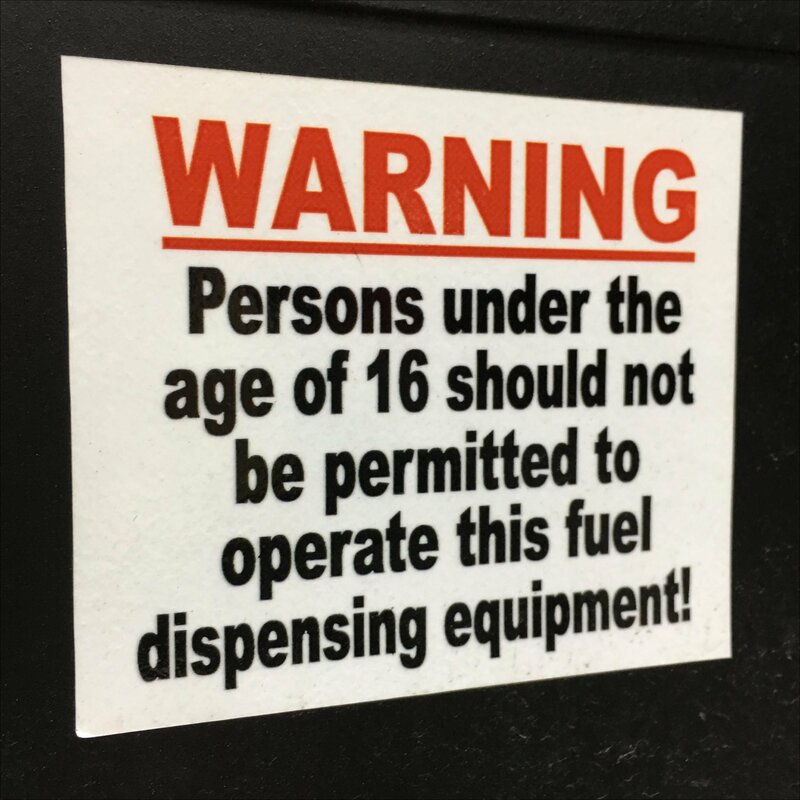 Nevertheless it seems phrased a bit permissively and as if a recommendation except for the headline “Warning.” True I might not want my 7 year handling a live pump nozzle, but easing my pre-Divers-Permit 15 year old into how to fuel a vehicle might not be a bad thing. Maybe Sheetz has had some particularly bad incidents to motivate this restriction. You only need a gas station or two burnt to the ground to motivate Draconian restrictions.